Amazon Filters have used Hampshire Mezzanine Floors for their refurbishment projects for the last 10 years and were keen to upgrade their existing laboratories, once again working with HMF to do so. Amazon Filters Ltd, who were founded in 1985, are one of Europe’s leading liquid filtration system suppliers. This project involved stripping out all existing laboratories and services including re-siting existing mezzanine floor columns to allow for a larger laboratory to be formed. Hampshire Mezzanine Floors provided structural calculations to verify these works. 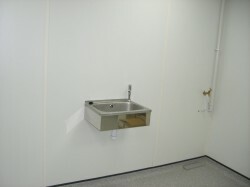 The laboratories themselves were erected using a white easy clean melamine system rather than traditional plaster board stud partitioning. Hampshire Mezzanine Floors also installed new doors to the laboratory areas with a feature round porthole vision panel to all the doors. The window modules were double glazed to provide additional sound insulation. 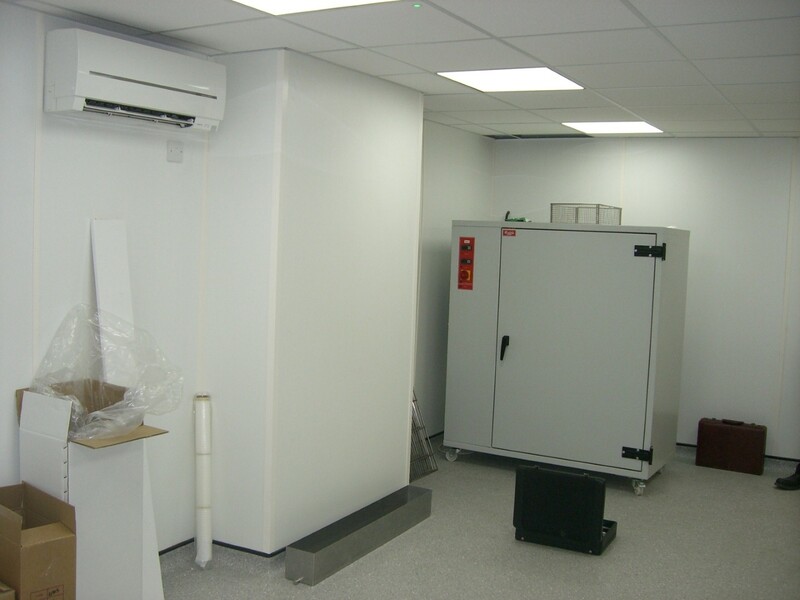 Moreover, a new clean room store suspended ceiling was installed in the laboratory areas and the flooring for the projects was fitted with coving which allowed for an easy cleaning regime to be carried out by the client. 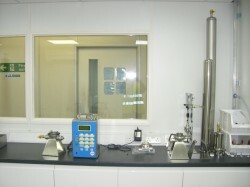 These works were carried out in a restricted clean room environment with Hampshire Mezzanine Floors installing white plastic sheeting to segregate the construction areas to the client’s working environment.Upon completion the temporary plastic sheeting was removed and areas cleaned down for the client’s occupation. 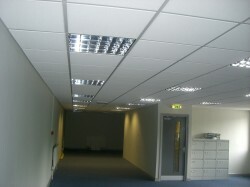 The project was completed over a four week period in conjunction with the client’s existing maintenance team. Work was completed by the end of July 2013 and since completion, Amazon Filters has awarded Hampshire Mezzanine Floors with a contract to upgrade further laboratory areas.